KANSAS CITY, KAN. ----- All ramps at the I-435 and Roe Avenue interchange will REOPEN to right on, right off turn movements only during early morning, this Sunday, October 19, weather permitting through Friday, October 31. 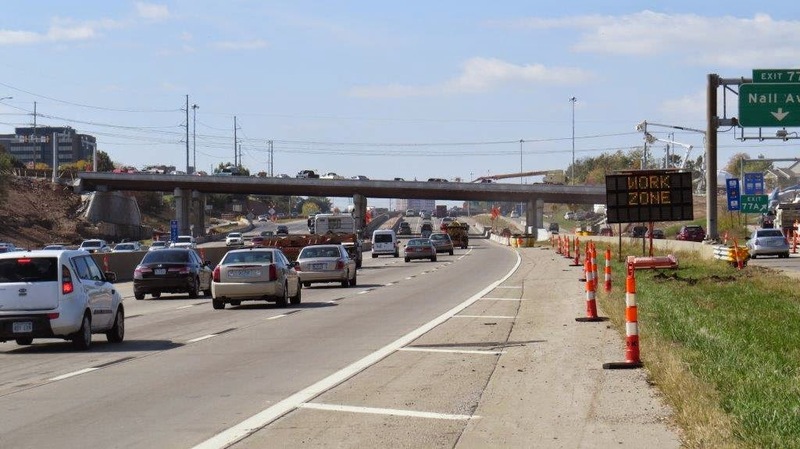 All interchange ramps were closed on September 15 for construction work to tie-in the ramp pavement to the new Roe venue bridge structures to complete the new diverging diamond interchange configuration. The new I-435 and Roe Avenue diverging diamond interchange is scheduled to FULLY OPEN to all traffic by Friday, October 31, weather permitting. This means the new bridge and all ramps will reopen in the new diverging diamond configuration to all traffic. There will still be project work taking place through the first few weeks of November which will have minimal impacts to traffic.